The Organic Forecasting Method: What's All The Hoopla About??!! Now, those that know me know I'm just poking fun with the above. Why do you ask? Well, the Bering Sea Rule gave us a heads up on Veterans Day! Note the key features of an ULL in South Central California, a shortwave in the Mid-Mississippi Valley, and another off Cape Cod. Here is the WPC 500mb forecast issued yesterday evening. Note the similarities??!! 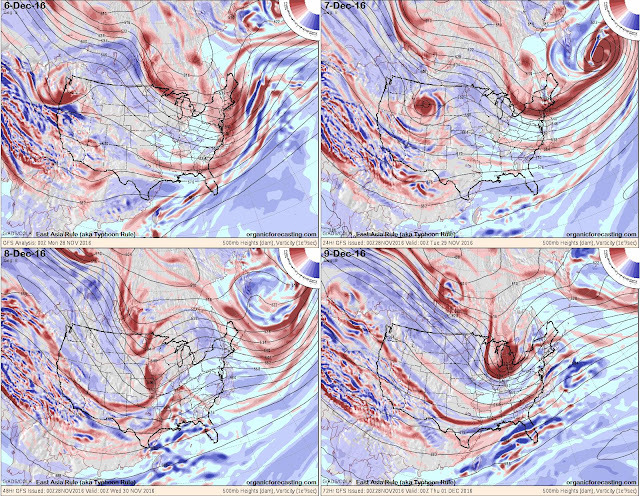 I see an ULL feature over the Baja, a shortwave in the mid-Plains, and another off New England. 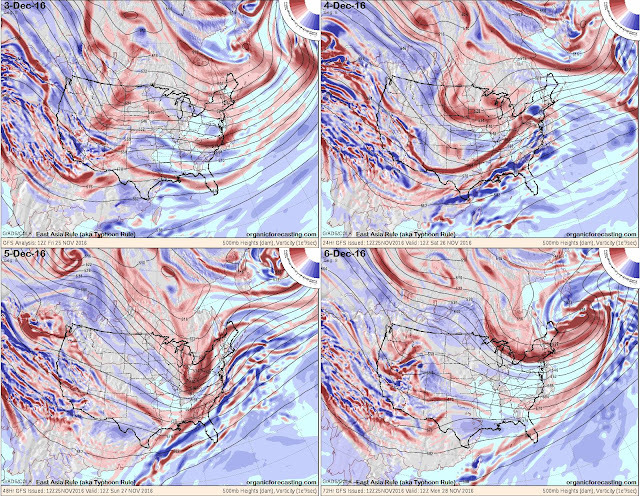 Here is what the future holds in 5 day increments via the 500mb anomalies. 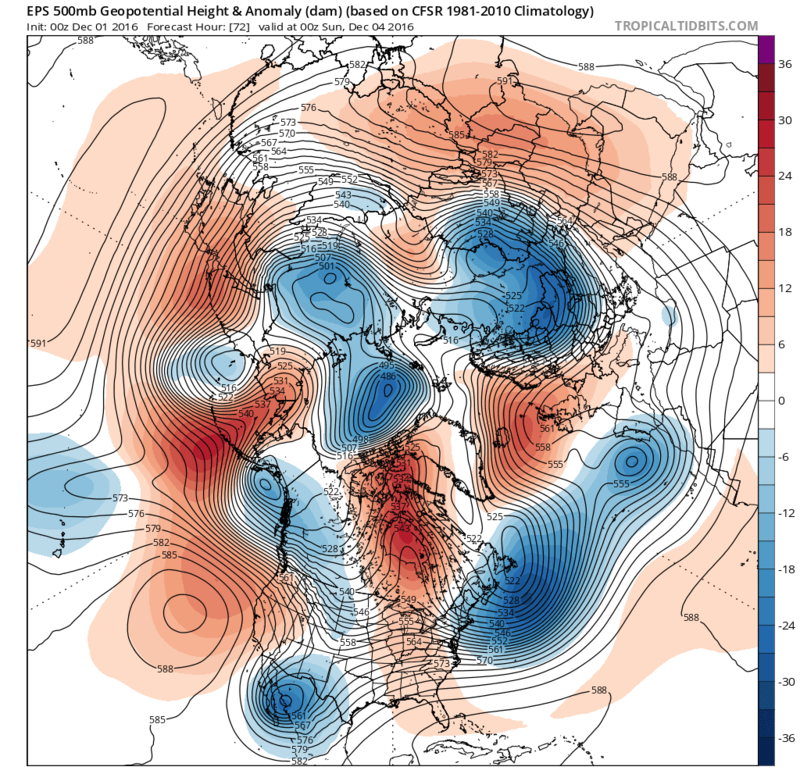 Tropical Tidbits only allows me to use 850mb 5 day averages, but the premise remains. The strength lies in the West and "bleeds" east ladies and gentlemen, just like the BSR showed! Here is what the EAR maps showed also, which is part of our "trifecta" of Organic Forecasting. 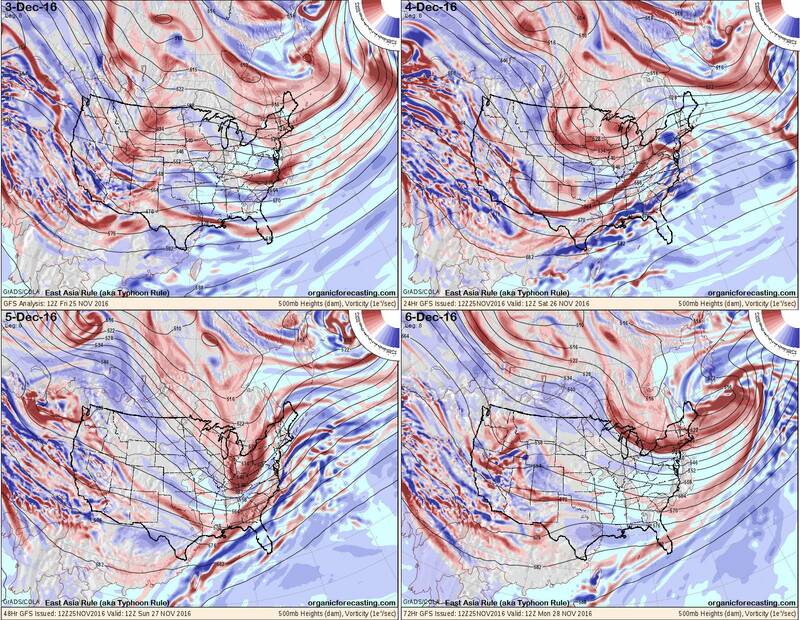 As you can see from above, strong system from the West comes into the Rockies and ejects into the Great Lakes which brings the cold air behind it. Hmmm...a 33.15 drop in 3 days between November 13th and November 16th. Coincidence...I think not. Sad part is I was portrayed by a twitter account out east that I was denying the pattern change was even going to take place and "was wasting your time".